If you pop by Christmas at Sweet Stampin', you'll be able to feast your eyes on the gorgeous creations the team made to help inspire you. This month we are sponsored by My Mom' Craft Shop, who are generously providing the lucky winner with a £10 voucher to their store. So, come join us in the Frosty fun! Thanks for stopping by and for taking the time to leave a comment! I really appreciate each one and love having the chance to visit you too. 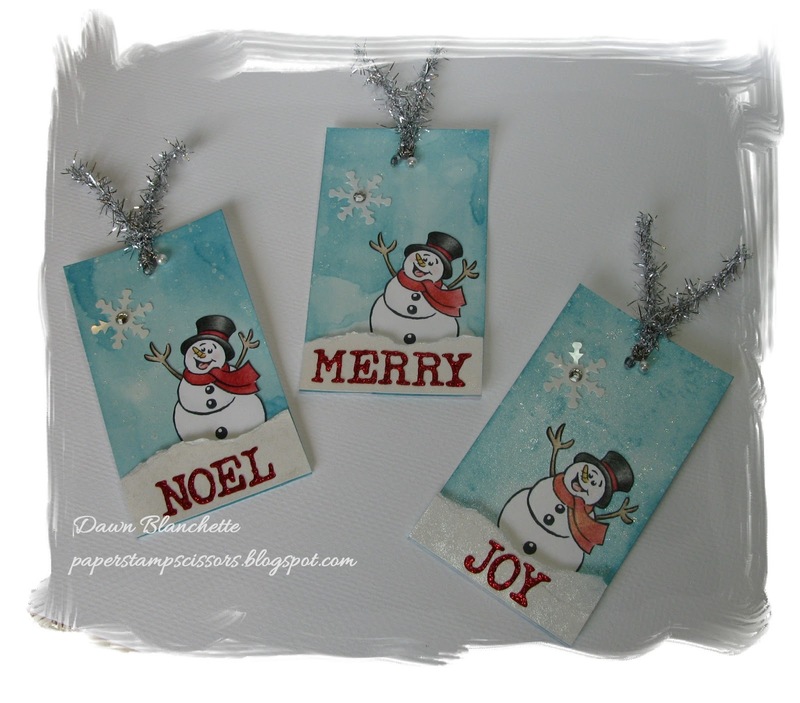 Gorgeous little Christmas tags,Dawn. Absolutely love them!... super adorable! Such cute tags Dawn! Love your snowmen! Your snowman tags are beautiful Dawn. I love the colours. What a fabulous set of tags ... love those glittery letters and the wonderful inky, sparkly skies ... so very glad you joined us at jingle belles.